Pictures thanks to Bike-Alp and its clients. 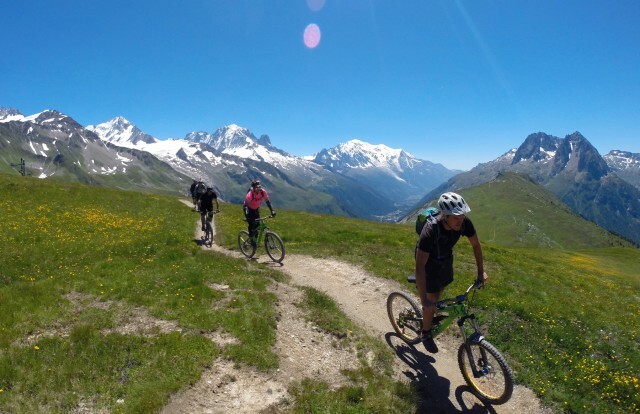 For anyone who’s been, or is looking to book a guided mountain bike holiday in the French Alps, chances are they will have come across the issues facing UK-qualified guides in this hugely popular holiday destination. Steve in action. Regulation baguette and beret just out of shot. The French authorities have always refused to acknowledge the UK qualifications as equivalent to their own, even though many guides such as myself, who hold the MBLA award, have always asserted our Schengen-based right to work throughout Europe.This of course has created a huge amount of friction, confusion and anger on both sides, culminating in arrests out on the mountain and a number of high profile court cases in recent years. I’m not going to go into the rights and wrongs of all of this, suffice to say that it’s hugely detrimental to everyone involved, not least of which the ailing French economy, which shoots itself in its own proverbial foot every time the French authorities attempt to stop any perceived competition. Nevertheless, the future for UK guides and businesses looking to operate here was looking grim at best, with no real solution in sight, apart from the lengthy (one year) and costly (approx €6000) options of starting from scratch and obtaining the French BPJEPS diploma. 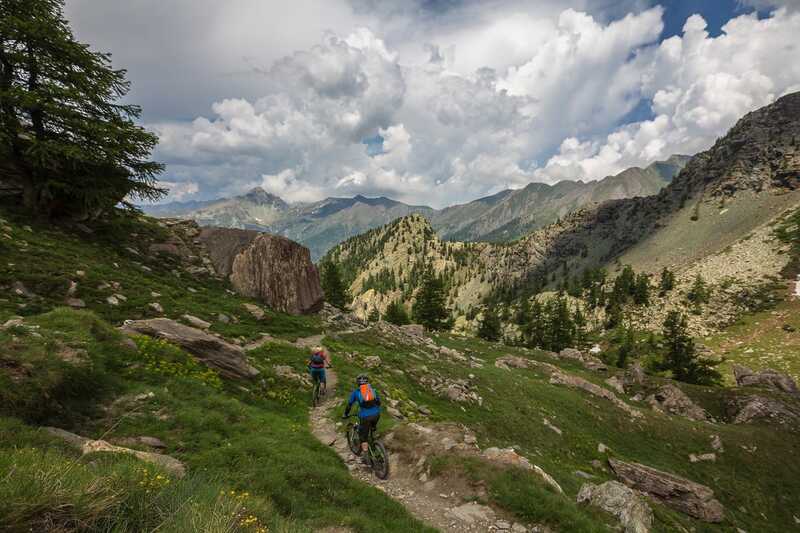 However, this spring I became the first guide using only their foreign MTB qualification to be awarded equivalent status in France, which, apart from being great news for myself and my company Bike-Alp, represents a sea-change in the French administrative system and their notoriously protectionist attitude towards mountain sports instruction. So what’s changed? In a word, integration. Firstly, a British qualified guide (Sam Morris from Bikevillage) stepped up and completed the one year French qualification. This not only showed how willing we were but also demonstrated how professional so many of us are. At the same time, and contrary to popular belief, there are many on the French side of this so called ‘war in the mountains’ who also want to create a solution for British guides working in France. 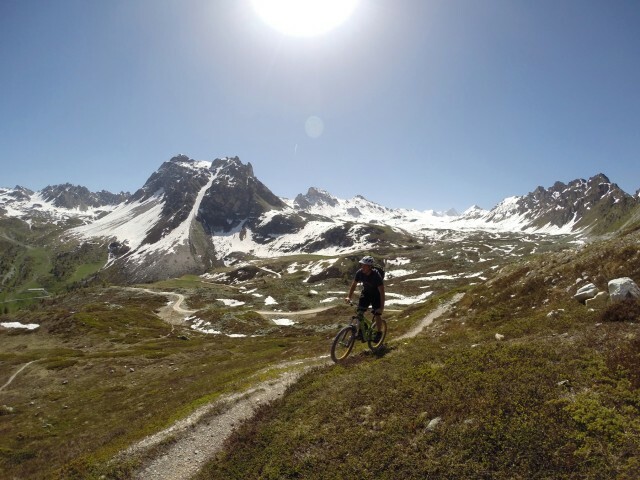 The MCF (Moniteur Cycliste Francais) are now heavily integrated into the French authorities that are in charge of issuing outdoor sports instruction awards, which basically means that actual riders and guides are now dictating the procedure towards applications from foreign guides. More specifically we owe a massive thanks to Julian Rebuffet who has spent the last two years convincing the French Ministry of Sport to run these equivalence exams, which I was lucky enough to be the first to take part in. In fact the whole team involved in my case were very positive and clearly excited to finally sort out this long-running and contentious issue. These tests, just like their British counterparts of course, weren’t without their faults. An XC/orienteering exam which initially had to completed at an unrealistic speed was heavily tweaked to be more attainable second time round, and the administration involved just to get to that stage will take a very frustrating 9 months of your life. But the fact is, they’re finally listening and trying to come up with a solution as opposed to a straight up ‘Non!’, which is a huge development and something none of us in this profession thought would ever happen. 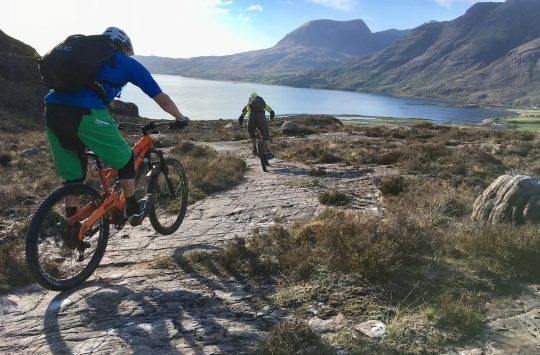 A skills test – a sort of trials test, marked out in rooty and/or rocky terrain. All these things are aimed to show that you’re a fit, skilled rider who has a good level of French, with the ability and knowledge to lead and communicate with your clients in a safe environment. A notable pre-requisite is that you need to have two years professional experience in the UK before applying – gap year students please look elsewhere. It’s no more than you should expect from a guide working in France to be honest, but it’s nothing that I hadn’t already covered in my MBLA course, so I think any guide with a UK qualification and some decent French should pass all of this without any issues. So I urge anyone in my position to bite the bullet and register themselves with the local French authorities. It may take some time and a lot of patience, but the opportunity to gain equivalence with our UK qualifications has finally arrived, so we should grab it with both hands. Hopefully then this greyest of grey areas might finally become a whole lot more black and white, not least for all of you heading off to the Alps this summer and wondering what you’re supposed to say to the fuzz if your guide is stopped on the mountain. On top of all this there may be more good news in the pipeline. Sam Morris, aside from running Bike Village, is also part of the European Organisation of Mountain Bike Instructor Guides (EO-MTBInG) team working towards an EU-wide qualification that should be with us in the next few years. The project is backed by the French authorities – and twelve other nations – so it’s clear that attitudes are changing. It really does look like cooperation and integration might provide not only a clear Europe-wide professional benchmark but also redefine the profession of MTB Instructor-Guide as our favourite little sport continues to mature into a proper grown-up way of getting very muddy in mountains of all sizes, shapes and varieties. 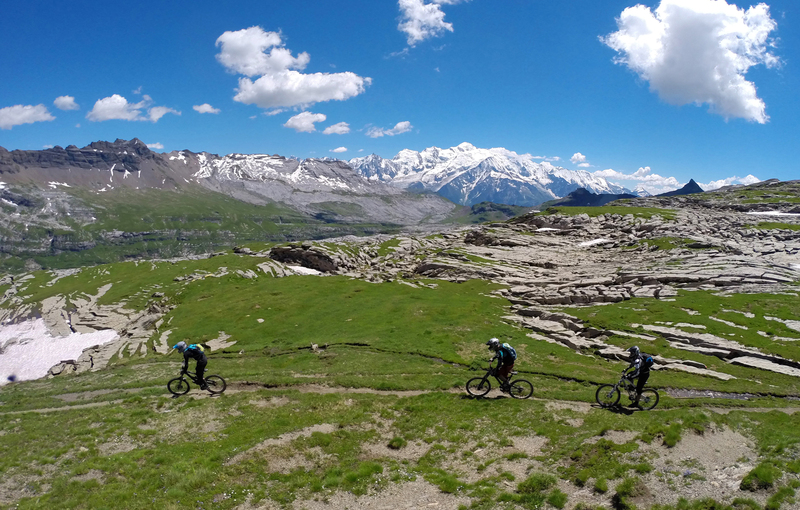 Until then, enjoy your holidays in the knowledge that you can keep the go-pro pointed at the trails rather than the gendarmes. To be fair, we’d be tempted to try and keep this to ourselves too. 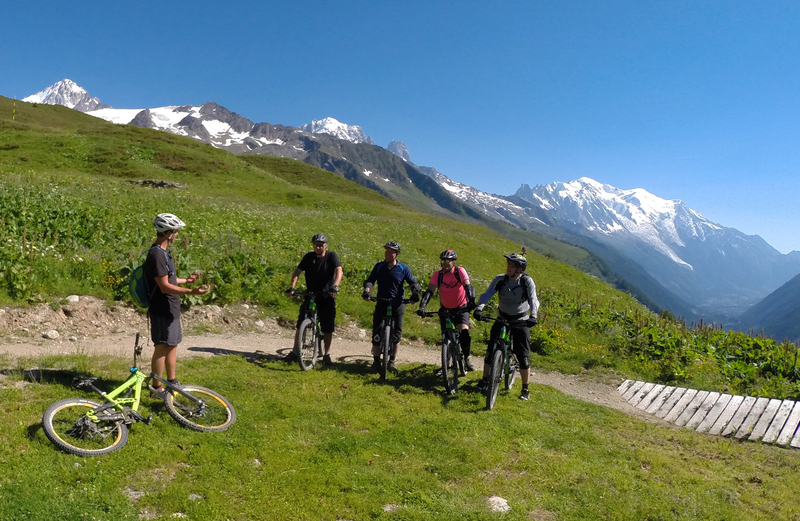 To get in touch with Steve about the qualification or guiding with Bike-Alp, email info@bike-alp.com or go to bike-alp.com. Review: Spank Spike 35 Vibrocore Bar – Big, Burly, Comfy – And 820mm Wide! Is there clear guidance about where requirements for mountain qualifications kick in? 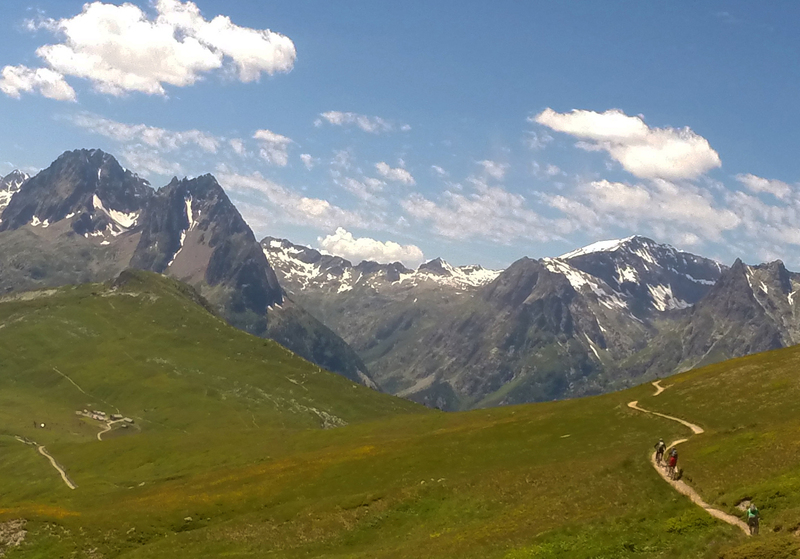 Can you guide in Provence, for example, or in the pyrenees below x000 meters without needing formal qualification?